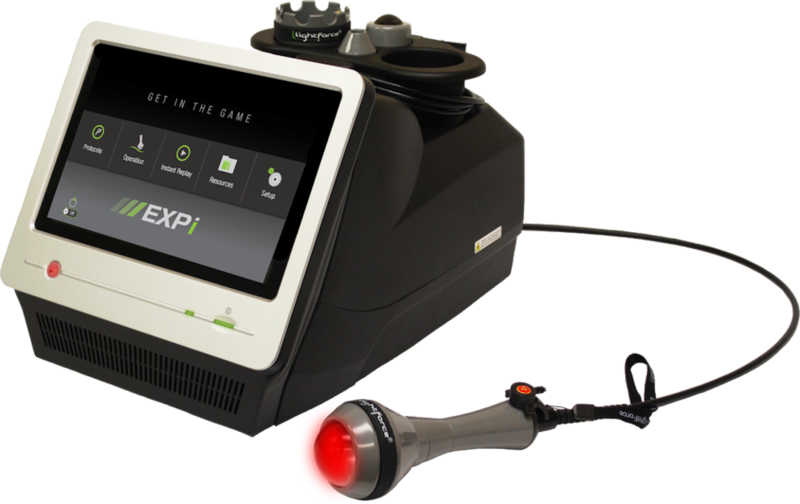 Cold laser therapy is the use of specific wavelengths of infrared light to create therapeutic effects. It can be used on patients who suffer from a variety of acute and chronic conditions in order to help eliminate pain, swelling, reduce spasms and increase functionality. These effects include increased circulation, decreased healing time, pain reduction, and decreased inflammation or swelling. The light is provided by a low power laser, which emits energy in the form of photons. These photons are particles of energy that become absorbed by the tissue and cells resulting in the conversion of light to energy. Multiple physiological responses of healing are initiated and normal cell functioning is restored. Our office provides both Class 3 and Class 4 lasers. Discuss with board certified Chiropractic Neurologist, Dr. Afzal, which laser is right for you.